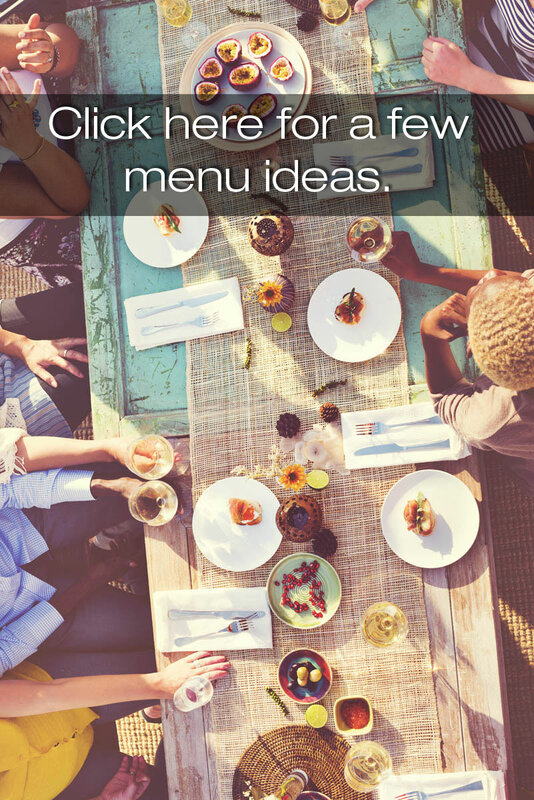 Check our our latest menu options. Whether it’s a wedding, a family get-together, or a key business meeting, we understand that sitting down to a lovingly prepared meal with people you care about is one of life’s great pleasures. We can accommodate your desire for a one-of-a-kind menu. In short, we will do all we can to make sure your event exceeds your expectations.